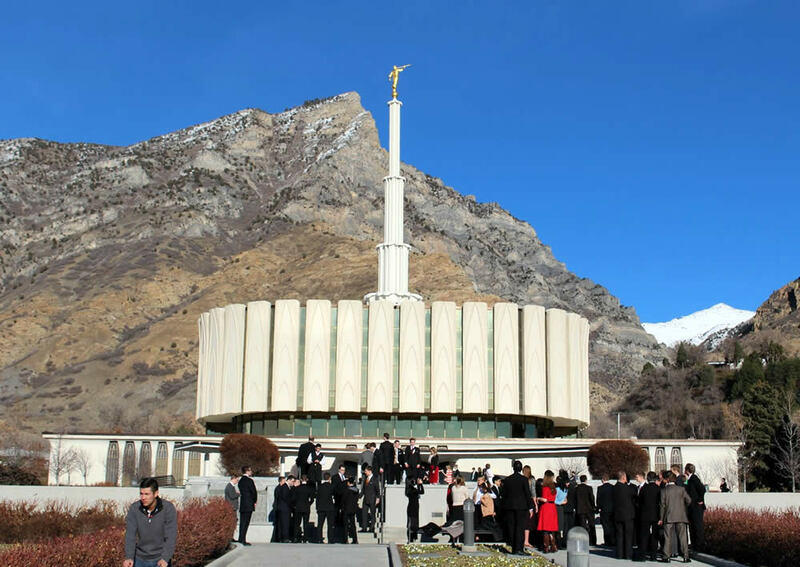 Last Sunday, we decided to take our kids on a Sunday walk around the Provo, Utah Temple. Though it was February and the middle of winter, we were having an unseasonably warm day. And with the kids having been cooped up inside most of the winter, a chance for them to get out, run around (as reverently as possible because it was Sunday and we were at the temple), and enjoy the outdoors was just what they needed. When we got to the temple, we noticed a large group of missionaries standing around the fountains out front. 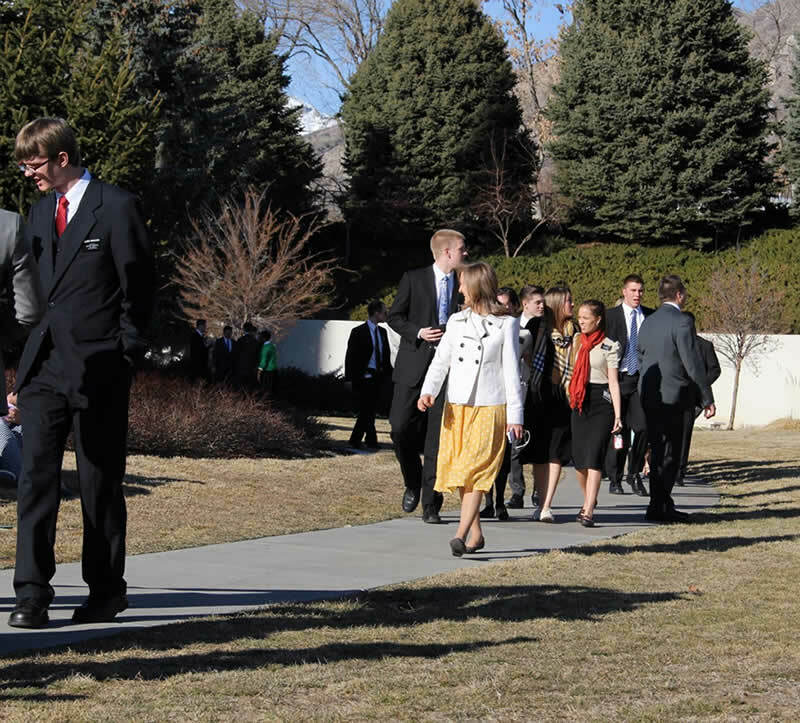 We assumed this was a group of missionaries from the MTC which is across the street from the Provo Temple. 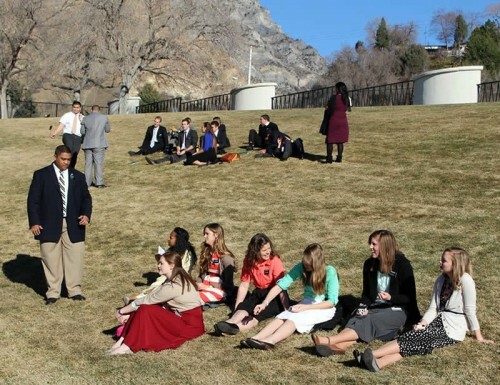 They were taking pictures, and we thought maybe they were taking some farewell pictures in anticipation of leaving the MTC for their respective missions. 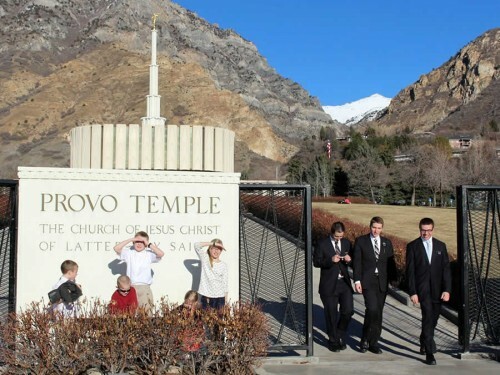 We didn’t want to bother the missionaries, so we started walking around the south side of the temple with our kids. But lo and behold, we ran into even more missionaries! Later, we ran into this group of missionaries that will be heading to Brazil soon and asked them to pose for a picture with our kids. Overall the missionaries were enjoying themselves, walking around, sitting on the grass, getting some fresh air and sunshine. The MTC can be an intense experience, learning gospel principles, learning a new language, learning teaching methods, etc. We didn’t get Sunday walks when I was a missionary in the MTC (nearly 20 years ago), and I’m not sure all MTCs across the world have this in their schedule, but I’m glad they give the missionaries at the Provo MTC have this Sunday afternoon break. 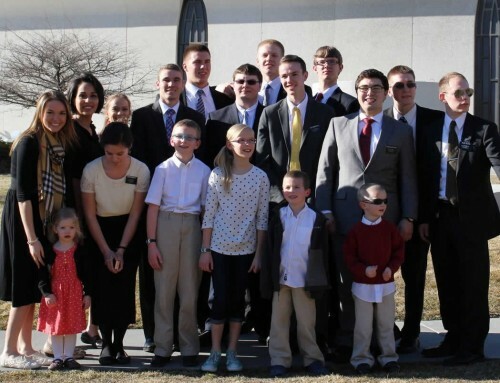 All of the missionaries we met were anxious to wrap up their time at the MTC and get out into the mission field, finding, teaching, and baptizing the elect of God. As I told the ones we met that day, we pray for the missionaries each day, and hope they are safe and successful in preaching the gospel and bringing souls unto Christ. All of your posts are informative & inspiring. What a great Sabbath for you and your family to see so many missionaries on the Temple grounds.